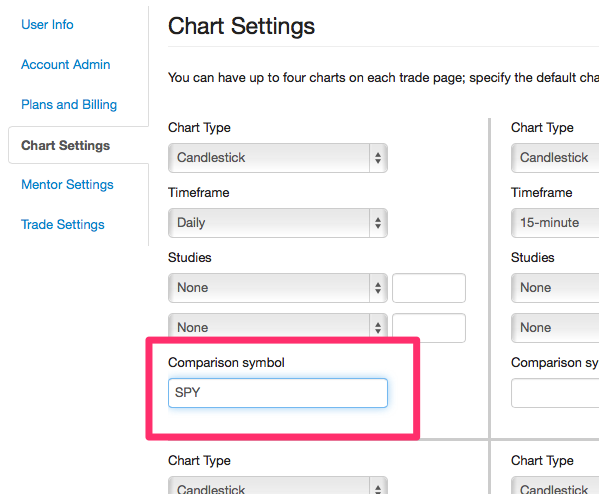 A while back, we added the ability to add comparison symbols to your price charts in Tradervue. 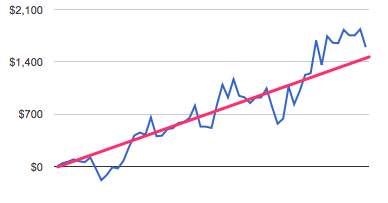 So for example, if you wanted to plot the price of the instrument you’re trading, and the SPY on the same chart for comparison, you could do so. From the Dashboard, click Settings, go to the Chart Settings tab, and you’ll be able to add a comparison symbol for any of your default configured charts. 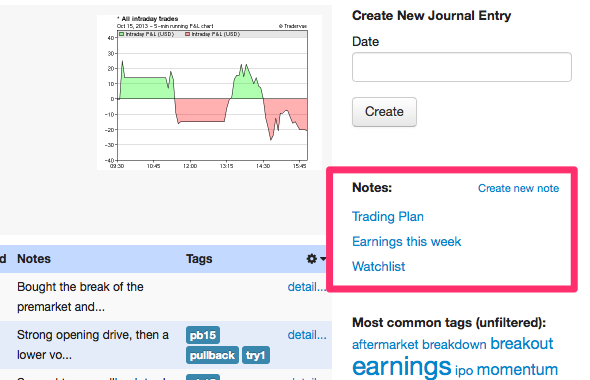 As with any other note in Tradervue, you can not only type your notes, but also add images and video to them if you wish!